Benchmarks for Qualcomm’s highly anticipated Snapdragon 800 SoC finally hit the web last night as a handful of publications convened in San Francisco for a day of testing and poking around. Although there’s still some waiting ahead before we see real-world performance and efficiency figures, going by the initial impressions from sites like Anandtech, it looks like the chip might actually live up to all the hype. 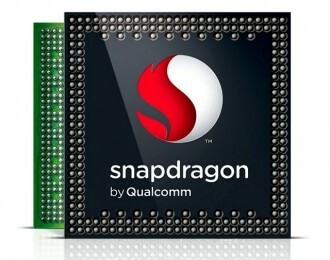 As a refresher, Qualcomm unveiled the Snapdragon 600 and 800 series back in January at CES. But while the former is already available on a variety of high-end Android smartphones, the Snapdragon 800 has yet to reach the market. This is the company’s new flagship SoC featuring four Krait 400 CPU cores clocked at up to 2.3 GHz, Adreno 330 graphics, integrated 4G LTE and support for 802.11ac wireless. The upcoming chip runs neck to neck in CPU oriented benchmarks against Cortex A15 based designs like the Samsung Exynos 5 and Nvidia’s Tegra 4, trading top positions depending on the test. It also offers a modest performance gain over the Snapdragon 600 series. But where Qualcomm’s latest SoC really shines is in graphics performance, delivering nearly twice the power of its competitors in a range of 3DMark tests. 3DMark isn't available for iOS, so that impressive margin only applies to ARM-based devices on the Android camp. While testing with GLBenchmark, Apple’s iPhone 5 and iPad 4 actually come out on top in most tests, but Snapdragon’s Adreno 330 GPU still beats everything else in more stressful simulated game benchmarks. Unfortunately, there weren’t any power demos setup, so estimates about battery life performance are not currently available. For what it’s worth, Qualcomm says that despite the performance gains, it should be equivalent to the Snapdragon 600, due in part to the use of a more efficient version of TSMC's 28nm process. Smartphones and tablets based on the Snapdragon 800 should begin shipping later this year and look to give Nvidia’s upcoming Tegra 4 as well as Apple’s A6X a run for their money. Things are looking good for the next generation of smartphones and tablets, especially if you are into mobile gaming. For good measure, Anandtech also included benchmark comparisons pitting the Snapdragon 800 against entry level desktop graphics chips. And for all the progress that’s been made on this front -- considering the chip is intended for lower power devices -- Intel’s HD 4000 and AMD’s Radeon HD 8330 still come out on top.